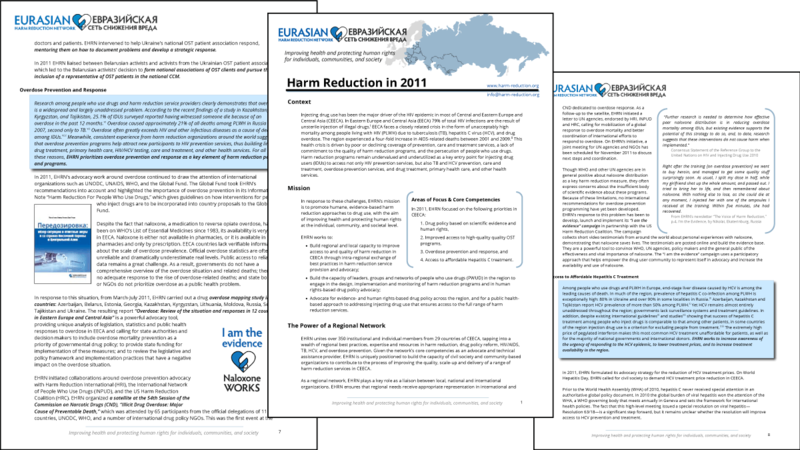 Template documents created to unify the style of Eurasian Harm Reduction Network. On formal reports and publications created for distribution, the first page includes a graphic of the region, to help people immediately identify to organization’s location. Note how the heart’s shape forms subtle structural elements at the bottom of letterhead and business cards. 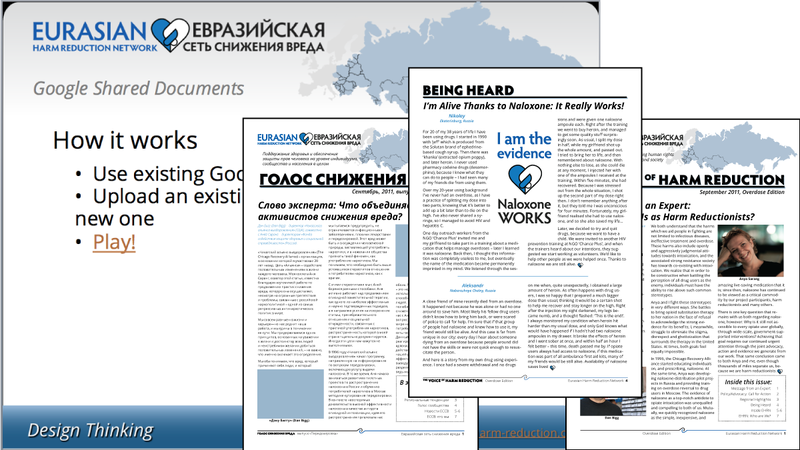 Microsoft Word templates made for EHRN’s reports. Because the organization has limited technical expertise and limited access to design software, I created most templates in MSWord with a default color palette and styling to match the corporate style I set, as well as a set of guidelines for how to create reports, going forward. 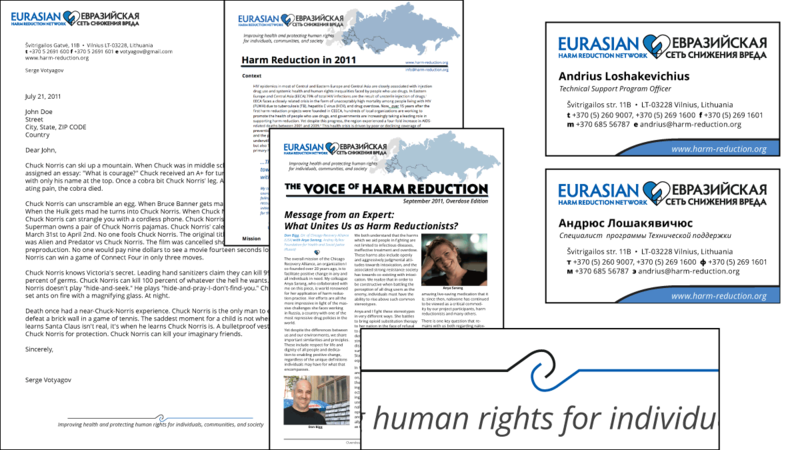 Eurasian Harm Reduction Network transitioned from monthly e-mailed reports to its quarterly newsletter, The Voice of Harm Reduction during my fellowship. I designed the first issue, and left them templates for use in future issues. Because they hire a graphic design firm to typeset the newsletter, these had a bit more design flexibility than internally-generated reports. Also pictured: a Microsoft PowerPoint presentation template. EHRN’s original logo, and the revised logo. I adjusted coloring, changed the type, and focused on the full organization’s name to reduce confusion with the EuroHRN—a problem exacerbated by the fact that EHRN’s full name was illegible in most settings. Central to EHRN’s identity since it was founded, the heart became the foundation for their corporate identity. It is now found in their “I am the evidence” campaign and their “Harm Reduction Knowledge Hub” logo.